Frank Hochstetter’s grandfather shook Abraham Lincoln’s hand after the 1863 draft riots in New York City. Pvt. Franz Baumann, his grandfather, was a member of the 7th New York Regiment. He was one of the first 75,000 men who signed up when Lincoln called for volunteers to defend the Union during the opening months of the American Civil War. After 90 days, the president told Baumann and his compatriots their enlistment had been extended to three years. It was obvious the conflict wasn’t going to be short or sweet as first thought. Three years later, Baumann would meet the beleaguered Lincoln during a low point in his political career — the New York City draft riots. His unit was called back from the front to deal with the deadly riots rampaging through the streets of New York over who was conscripted into the military. “I think Lincoln shook my grandfather’s hand at a ceremony after the draft riots honoring those initial 75,000 volunteers who had signed up for the war in the spring of 1861,” Hochstetter said recently at his home in Wildflower Country Club. In an interview five years before his death at 94, in 1935, Baumann told a New York City newspaper his story of marching off to war at 21. He was a member of the Williamsburg Company, Steuben Volunteer Rifles, officially known as I-Company, 7th New York Regiment. “When I fell into line on April 23, 1861 on a parade ground that once stood between First and Second Avenue at East 63rd Street in Manhattan my military career began. From there we marched to the Hudson River and sailed aboard the Empire City to Newport News, Va.,” he told the reporter. Baumann’s unit took part in the First Battle of Bull Run — one of the first major engagements of the Civil War. It was a Union disaster. “Seven of my fellow soldiers were killed in that battle,” the old veteran was quoted as saying in a New York paper. A short time later his regiment participated in the Battle of Fredericksburg Heights. It was during this battle the 7th Regiment sustained its greatest losses of the war, Baumann noted. 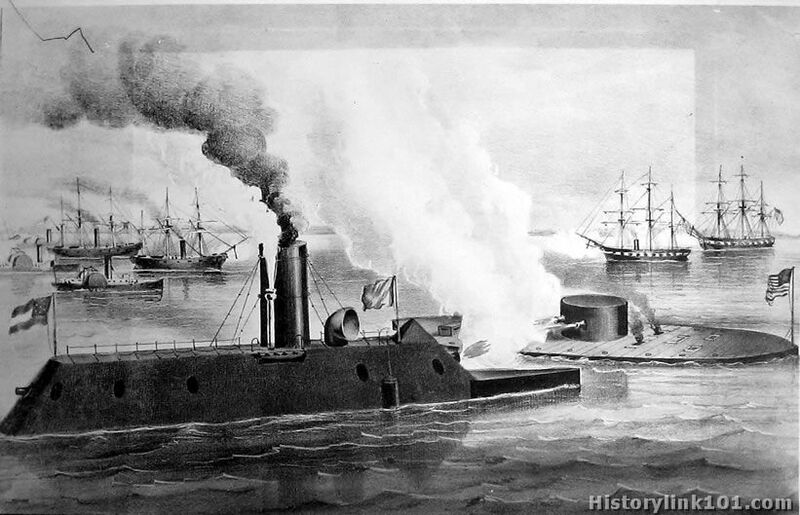 When Hochstetter was a kid he remembers visiting his grandfather’s home in Greenpoint, a section in Brooklyn, N.Y.
One of those stories Hochstetter remembers well was about the time he watched the clash between the USS Monitor and the CSS Merrimack in Hampton Roads, Va., on March 9, 1862. As Hochstetter recalls, his grandfather’s unit was stationed at Fort Monroe, Va., along the Atlantic Coast at the entrance to Charleston Harbor. When the battle between the two iron-clad vessels began, Baumann and his buddies were high on a hill watching the naval engagement. A family heirloom around his grandfather’s house was a military blanket he carried with him during the war. “Before he told us the story (about the blanket), we kids thought his old Army blanket was full of moth holes. We found out later, from one of my grandfather’s stories, the holes in his blanket were caused by Confederate bullets,” Hochstetter said. Franz Baumann was born on July 22, 1840 in Metzingen, Württemberg, Germany. He arrived in the United States in 1856. He grew up in Brooklyn. At one point in the Civil War, Baumann contracted typhus. He got some medicine, maybe from Germany, that he credited with saving his life. What the old soldier may have been most proud of was his service as a runner for Maj. Gen. Winfield Scott Hancock, a brigade commander in the Peninsula Campaign in Virginia with the Army of the Potomac where Baumann fought. 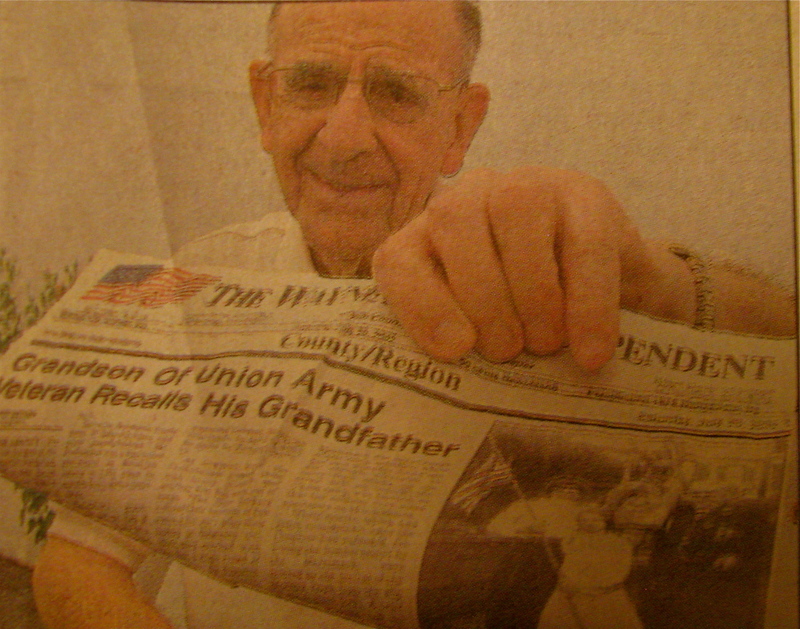 Decades later his grandson remembers driving his grandfather around Brooklyn in an old Nash touring car on Decoration Day (Memorial Day) in his blue wool Union uniform. Baumann was also one of the last three survivors of the Barbara Frietchie Post of the Grand Army of the Republic. He was an active member in the GAR, a major political force in the United States, particularly in the Northeast, following the Civil War. When the old soldier died in 1935, it was an event, even for a community the size of Brooklyn. All of his 35 grandchildren and great-grandchildren were in attendance along with all the other members of the family. His relatives may have totaled upwards of 100. “It was a great funeral. Hundreds of people attended. It was given great coverage in the New York press,” Hochstetter said. “His funeral Mass was held at St. Martin d’ Tours Catholic Church in the Ridgewood section of Brooklyn. He is buried in St. John’s cemetery in Brooklyn. “I often think of all the questions I should have asked my grandfather and didn’t. But you know, when you’re young, you’re not interested in all that stuff,” Hochstetter lamented. This story was first published in the Charlotte Sun newspaper, Port Charlotte, Fla. on Monday, May 26, 2003 and is republished with permission. One correction, Franz Ludwig Baumann was born July 22, 1840 in Metzingen, Württemberg, Germany. We’re glad it wasn’t the Schnapps talking. And everyone knows that grandmas always tell the truth. This is actually Laura’s dad using her WordPress account 🙂 I’m digging through family history.